France's Alexis Pinturault laid down a fantastic slalom run to win the world alpine combined event on Monday, his first global title. The 27-year-old held his nerve on a floodlit Olympia course to race down with a combined time of 1min 47.71sec. Slovenia's Stefan Hadalin, who only scraped into the top 30, in 30th spot, by four-hundredths, claimed an impressive silver, 0.24sec off Pinturault. 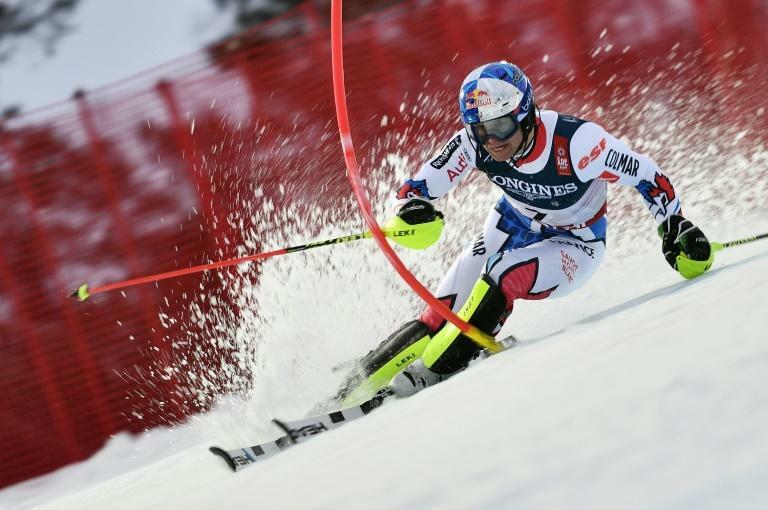 After nailing an impressive slalom, Pinturault then faced a nervy wait in the leader's chair watching the 23 racers in front of him tackle the course.